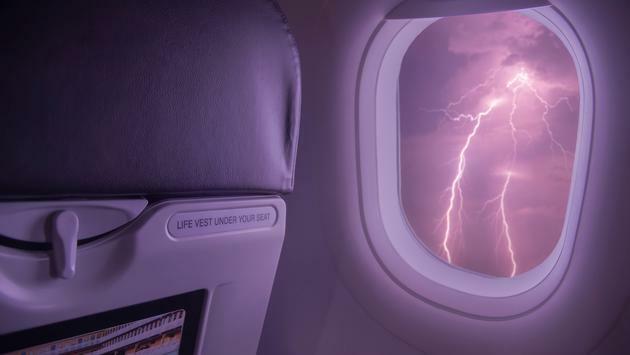 A Southwest Airlines flight was forced to make an emergency landing in Connecticut Tuesday after the plane was hit by lightning. According to WFTV.com, Southwest Flight 2515 was flying from Manchester-Boston Regional Airport in New Hampshire to Orlando International Airport in Florida when the plane was struck by lightning. The pilot called for an emergency landing at Bradley International Airport in Hartford and the plane landed safely at 6:51 p.m. local time. There were 135 passengers on the flight at the time of the incident, but no injuries were reported. A Southwest spokesperson told USA Today said the impacted passengers were placed on a new plane and transported to Orlando around four hours after their originally scheduled arrival time. The plane that was struck by lightning is out of service for a maintenance review.